One of my most favorite food blogs I follow is Lemon Pi, created by Yuie. Her pastries and food photography are incredibly stunning. Not only that, Yuie has to be one of the nicest people I’ve virtually met on Twitter and in the food blogging community. Each month I always check her Daring Bakers Challenge post because they are always amazing. 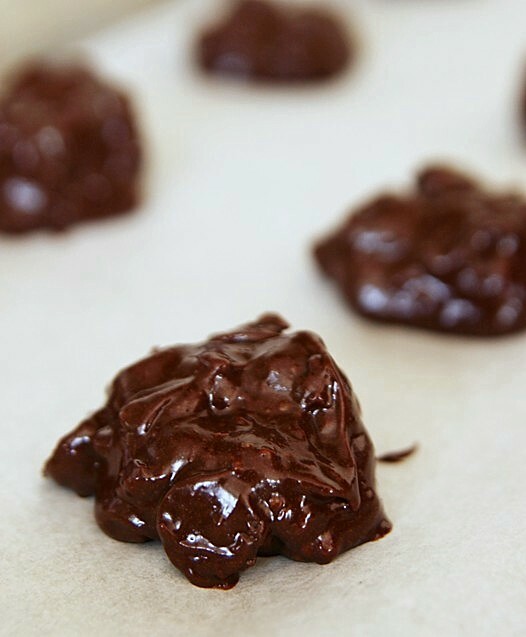 As I scanned through her posts, I noticed these Gluten-Free Chocolate Cookies she made at the request of Helen a.k.a Tartelette and Jen of Use Real Butter. Right then and there I knew these cookies had to be good. Not just good, awesome. I planned on making these cookies someday but not the very next day after reading her blog. You see on Monday night I attended a Pampering night via “The Mommy List” event put on by Keren and Kim at a Source Spa and Salon. Because of an online Twitter conversation with Keren about Wink Cupcakes being served, I felt bad when Jeanne also piped into the conversation wishing there was a gluten-free option. All of a sudden I felt very sad for my dear friends Jeanne and Kim, both with wheat-intolerances. It just so happened I had everything I needed to bake Yuie’s Bittersweet Chocolate Decadence Cookies in my pantry. And just like that, I whipped out a batch of these awesome gluten-free chocolate cookies. My kids loved them too.. and no one at the event could tell they were gluten-free – yay! With Yuie’s permission here is the recipe. Whether or not you have a wheat-intolerance these cookies will satisfy your chocolate cravings and sweet tooth. Enjoy!! Preheat oven to 350 degrees. In a small bowl, mix the flour, baking powder, and salt together, set aside. 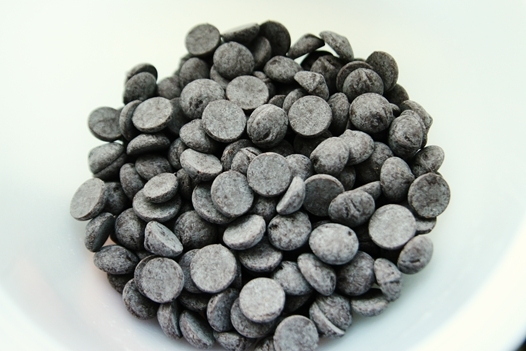 Place 8 ounces of bittersweet chocolate chips and butter in a med. microwavable bowl and heat for 1 minute. 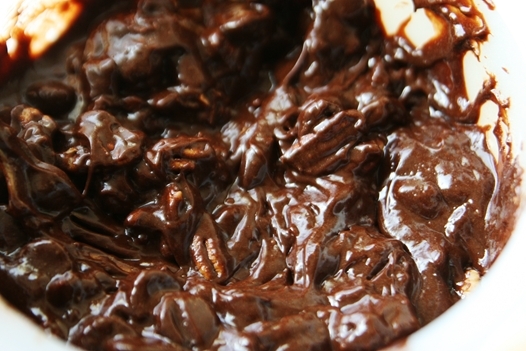 Stir the chocolate butter mixture and microwave again for 30 seconds. Continue to microwave and stir until the chips have melted and your mixture is smooth, set aside. In a heatproof bowl, whisk the eggs, sugar, and vanilla thoroughly and set the bowl over a pot of barely simmering water using it like a double broiler. 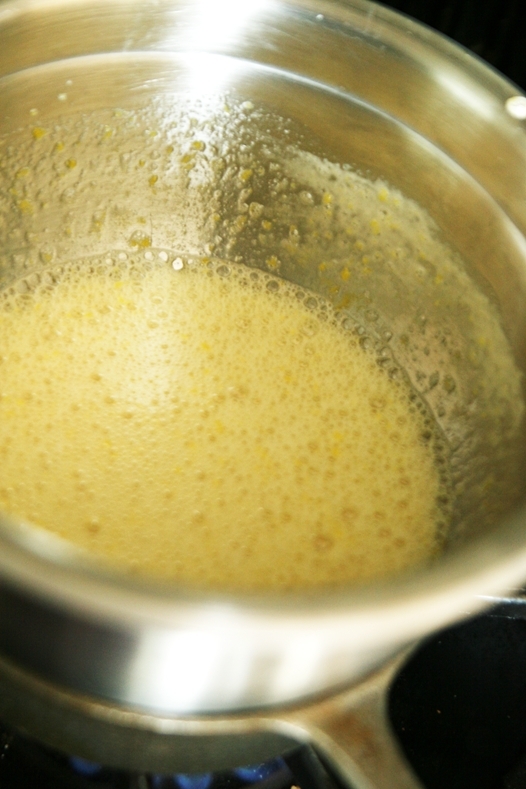 Continue to whisk everything until the mixture is lukewarm. 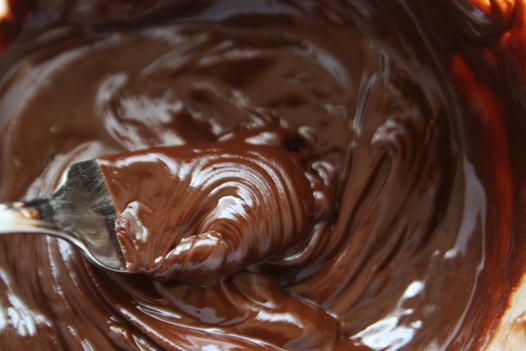 Combine the egg mixture and the chocolate mixture (should be lukewarm as well) stirring until they are well combined. Add the flour mixture, 6oz choc. chips, and pecans. Your batter will look like thick cake batter. Do not fear, after they bake they will look like and taste like cookies! Scoop dough (it will look very wet and sloppy) into rounded tablespoons on a cookie sheet lined with parchment paper 2 inches apart from each other. Bake for 14 minutes until the surface of the cookies look dry and set. With the cookies still on the parchment paper, slide them onto racks to cool. Gently peel the parchment paper back after cookies have cooled for at least 30 minutes. Enjoy! **As a side note, any type of chocolate can be used. Next time I plan on using semi-sweet or milk chocolate. 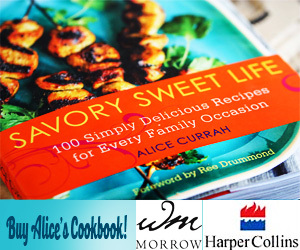 I love to read your recipes and posts—thanks for the gluten free recipes. I have a friend who cannot eat wheat…I make her cookies sometimes. Anyone tried making these with almond flour? I have some down in the kitchen and I’ve been wondering what to make so I can use it up…. These are so amazingly good!!!!! Thank you very much. Sorry about that.. it was a typo. The “2” was for the vanilla extract. I fixed it. Its only a 1/2 cup sugar. Is this only 1/2 c sugar for the whole recipe? What does the 2 after it mean? Thanks. This recipe is one of my favorites! 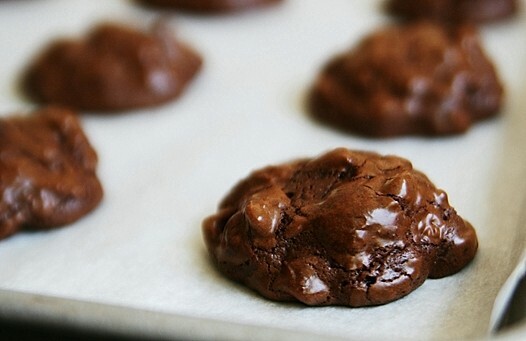 I love it far more than any of the other chocolate cookie recipes I’ve tried. Baking with chocolate is a luxury in my house, as my mom doesn’t like to spend so much on an ingredient used so quickly, unlike flour. Because of this, I’ve always been cautious about how I use my chocolate but these cookies are better than “worth it”! I love the moistness of the inside, and the shininess of the outside. Beautiful cookies. I was excited to make these because the mother of a friend of mine has celiac disease and I was hoping she would enjoy delicious gluten-free cookies, and she loved them! These cookies are so good, they’re better than a lot of “gourmet” cookies I’ve tasted. Thanks for the amazing post! I’m not sure. The egg binds everything together but perhaps someone will chime in here and know the answer. These cookies look delicious. Thanks for sharing the recipe.